18 months ago, Digital-Lifestyles was one of the first, if not _the_ first, consumer-focused publications to report on Femtocells. We were wowed by the concept – very strong cellular reception in your home, with the calls and data heading up your broadband connection. Quite why this wouldn’t become common places is a hard one to understand. We can see no losers with this – the individual is getting full strength reception on their mobile phone; extending battery life; data services will be at full rate; the cellular operator is saving money on backhaul; the mobile subscriber is likely to get a considerable number of home-based calls bundled in for free. We also went on in March 2008 to explain Femtocell: Why You’ll Have One. 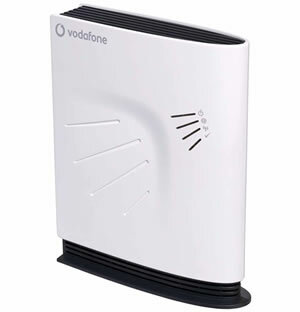 UK Vodafone will be launching their Femocell service in the UK under the name Vodafone Access Gateway. The pricing is a little confusing. It’s available “from free or as part of an inclusive price plan from as little as £15 a month,” or as a one-off purchase for £160 or a monthly charge from “as little as £5”. If the UK will find this pricing model attractive enough isn’t clear. A lot will depend on how desperate people are to get decent reception at home.